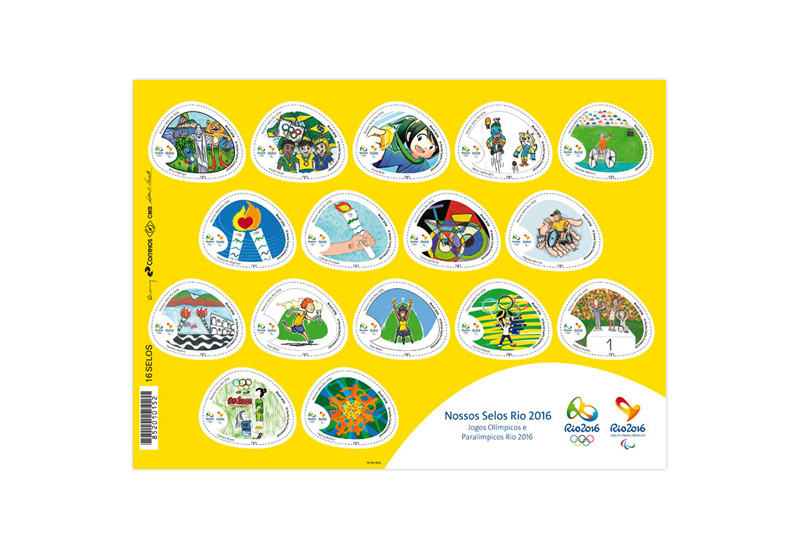 The stamp issue “Our Rio 2016 Stamps – Olympic and Paralympic Games” highlights 16 artworks selected from the cultural contest promoted by the Rio 2016 Organising Committee through the Meu Rio 2016 digital app. The winners – Alicia Teberga, André Paiva, Anne Beth, Athos Spilborghs, Danielle Martins, Fernando Degrossi, Gabriel Trindade, Girlan Quidute, Hegildo Alencar, Hemilly Pereira, Ivan Mola, Larissa Mazza, Mateus Kuwer, Samara Brum e Valéria Boelter – creatively reflected in their submissions the theme “What inspires you most in the Olympic and Paralympic spirit”. 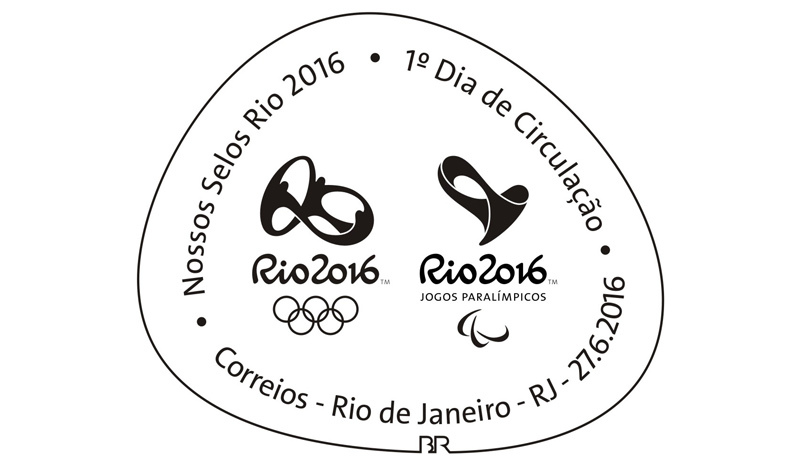 The winning designs, created both by adults and children, show Olympic and Paralympic sports and values. 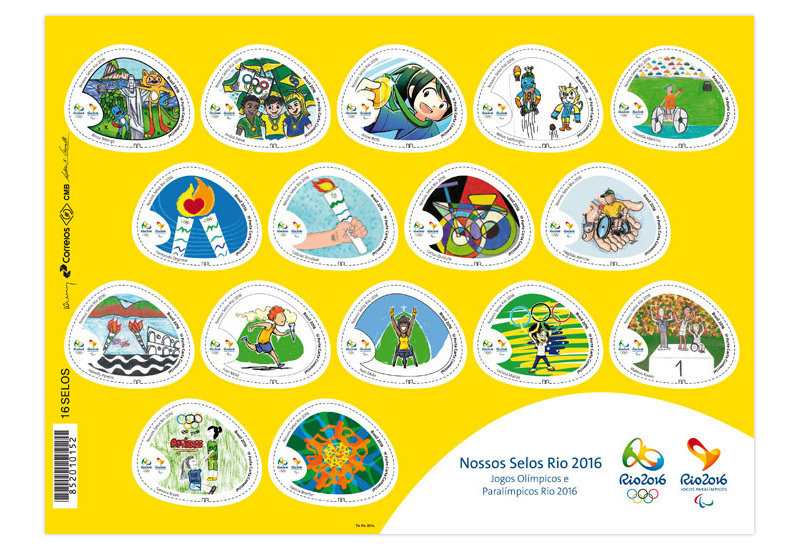 They are set against a yellow stamp sheet alongside the Olympic and Paralympic brands. The artworks reflect the unity and courage of athletes who are the stars of the biggest sporting event in the world, highlighting the emotions brought by the Olympic and Paralympic journeys. Winners were also inspired by the Games mascots and the torch, as well as by the scenery of the host city, Rio de Janeiro.